Peeta and Katniss drawing سے طرف کی Jenny Jenkins. 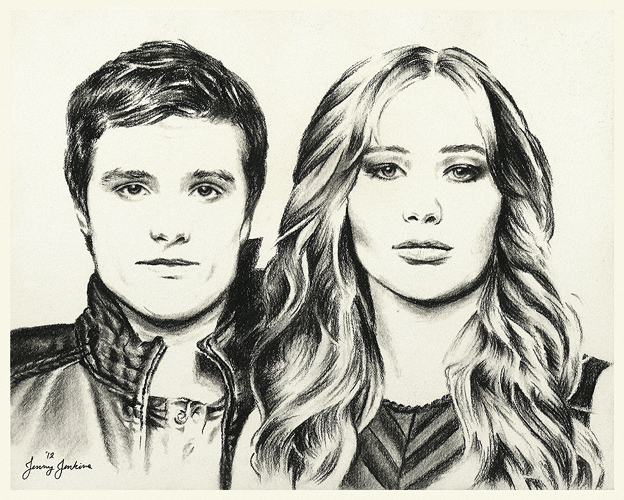 Charcoal drawing of Peeta Mellark and Katness Everdeen (Josh Hutcherson and Jennifer Lawrence) from The Hunger Games. Wallpaper and background images in the The Hunger Games club tagged: hunger games josh hutcherson drawing peeta mellark katniss everdeen peeta katniss tributes district 12 jennifer lawrence.